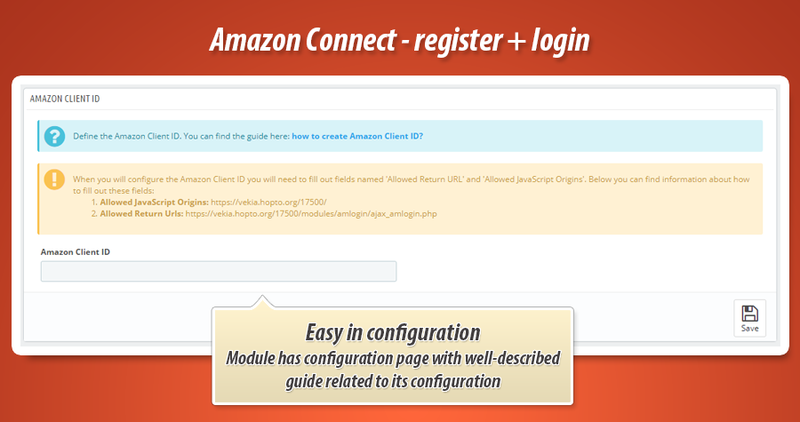 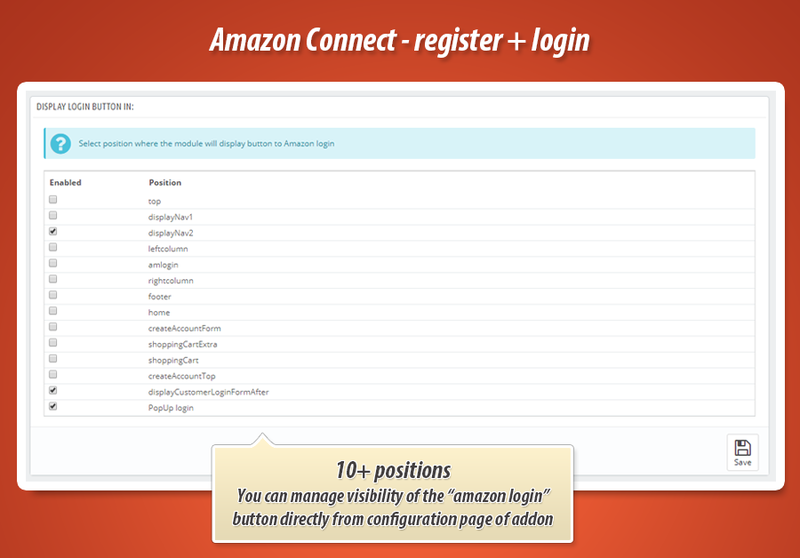 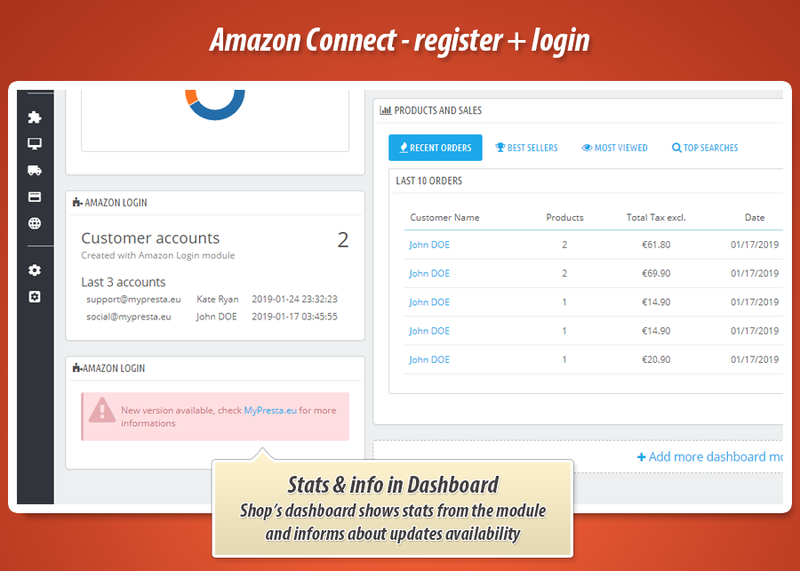 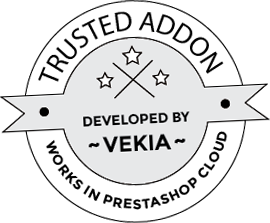 With this module you can add "amazon" register + login button to your website. 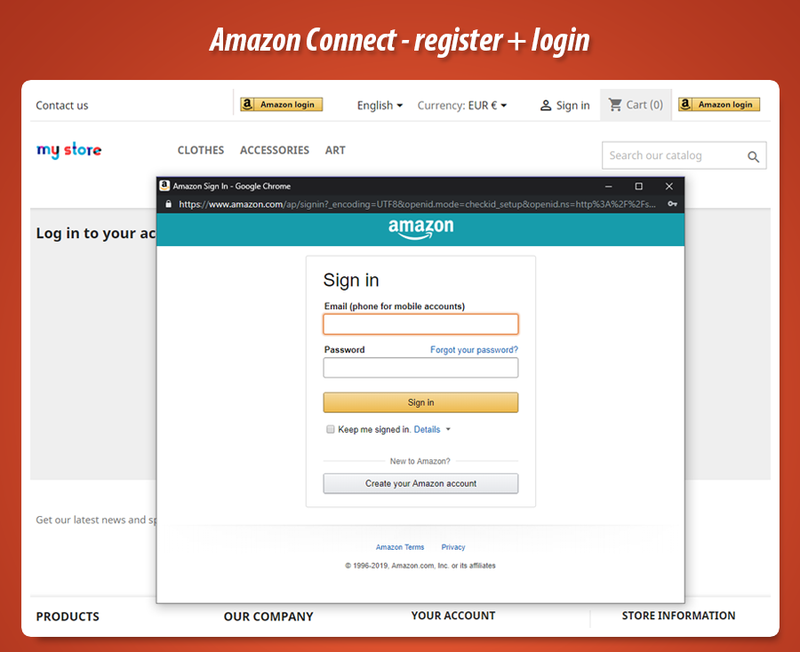 Thanks to this your customers will have possibility to quickly create an account / login to your website with their amazon account. 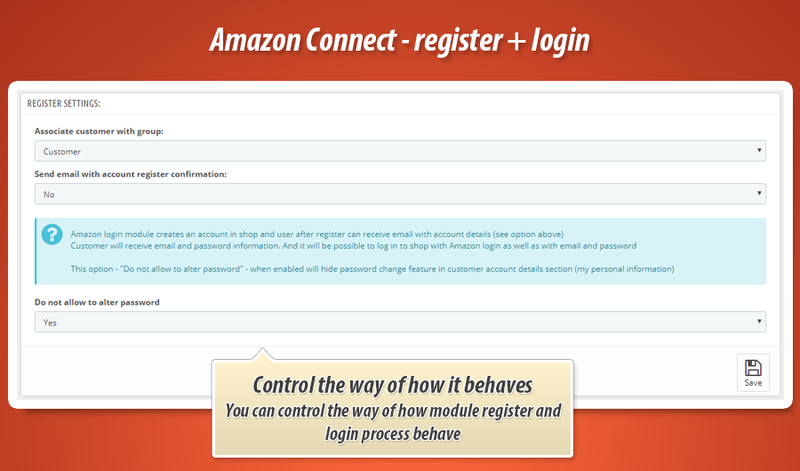 Module has many useful features and allows to display button "amazon login" in various positions.